Just hours after Apple published the full testimony which CEO Tim Cook plans to give to the Permanent Subcommittee on Investigations in the U.S. Senate, the government body issued its own findings on the company's offshore tax practices, saying subsidiaries were used to purposefully avoid paying billions of dollars in domestic taxes. 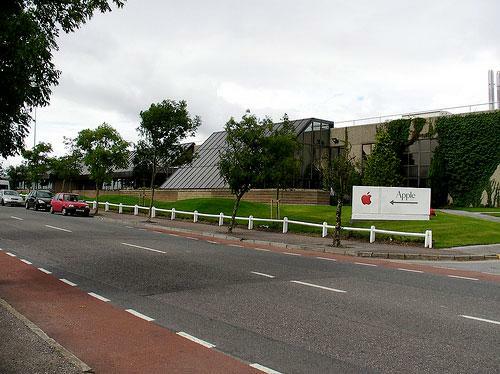 According to the subcommittee's report, Apple moved billions in profits out of the U.S. to affiliate corporations, like Apple Operations International in Ireland, where the effective tax rate is less than 2 percent, reports Bloomberg. Apple currently has $102 billion in offshore accounts. Apple's Irish headquarters in Cork. Of the three foreign subsidiaries Apple claims are not tax resident in any nation, primary affiliate AOI generated a net income of $30 billion between 2009 and 2012, the Senate report said. The other main Irish subsidiary, Apple Sales International, directed some $74 billion in profits away from the U.S. over the same period, and the paid a negligible amount in international taxes. For example, in 2011, ASI generated $22 billion and paid out $10 million in taxes, a rate of 0.05 percent. Using a so-called cost sharing agreement to transfer valuable intellectual property assets offshore and shift the resulting profits to a tax haven jurisdiction. Taking advantage of weaknesses and loopholes in tax law and regulations to disregard offshore subsidiaries for tax purposes, shielding billions of dollars in income that could otherwise be taxable in the United States. Negotiating a tax rate of less than 2 percent with the government of Ireland  significantly lower than that nations 12% statutory rate  and using Ireland as the base for its extensive network of offshore subsidiaries. For its part, Apple said in the testimony published on its website today that the Irish subsidiaries are cost-sharing arrangements which helped fund research and development, leading to new U.S. jobs and bigger profits. The statement also noted that Apple paid $6 billion in taxes last year, making it one of the largest taxpayers in the U.S. The senate subcommittee is slated to further detail its arguments against Apple in a hearing on Tuesday, which itself is part of a broader probe into how other multinational corporations use offshore affiliates to reduce tax burdens. Scheduled to give testimony from Apple are Cook, CFO Peter Oppenheimer and Tax Operations Head Phillip Bullock.